Families are wondering how they will afford care for a sick child or newborn. Women who count on Planned Parenthood for their basic health needs will find themselves without care, if the ACA is repealed. People with pre-existing conditions, which can be anything from cancer to high cholesterol or diabetes, can have a difficult time getting coverage for their drugs. Spending on maternity care and mental health could increase by thousands of dollars because insurers could sell plans on the individual market which could eliminate or greatly reduce coverage for these services, according to a Congressional Budget Office report. Repealing the ACA with the Better Care Reconciliation Act will harm everyone. Time is running out. Make your phone calls. Continue to let the Senate know that the ACA repeal is dangerous. JAC needs your support to send candidates to Congress who will fight for healthcare. DONATE NOW. Anger over recent moves against non-Orthodox streams is leading some US Jews to consider reapportioning philanthropy to the Jewish state. The recent Israeli Cabinet votes to suspend the expansion of a non-Orthodox prayer area at the Western Wall and to give Israel's Chief Rabbinate sole authority over official Jewish conversions performed in the country has created an uproar in the Jewish community. Jewish leaders and pundits are now suggesting that they use the power of the purse to get their point across. Some pundits have dared American Jews to stop giving money to Israeli causes. 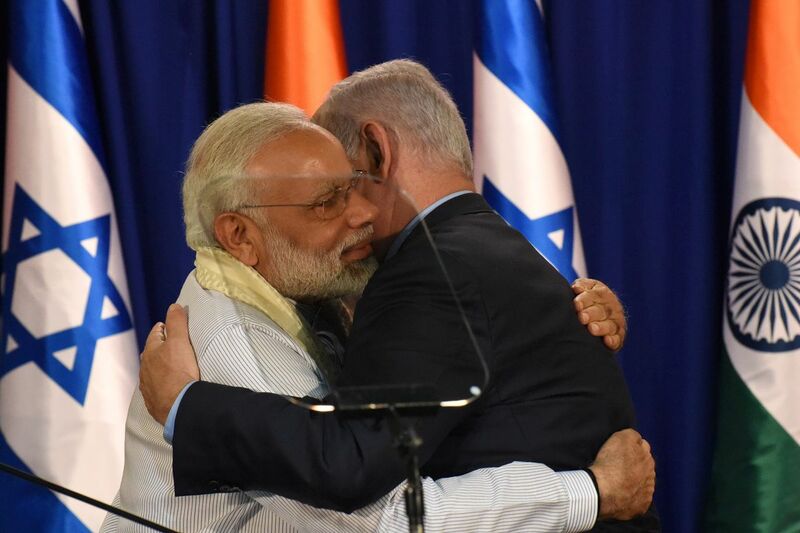 What began as a budding relationship between Indian Prime Minister Narendra Modi and Israeli Prime Minister Benjamin Netanyahu has now blossomed into a full-blown best friendship, complete with strolls on the beach and handwritten notes. Modi, who is the first Indian prime minister to visit Israel, just spent three days touring the country while tweeting more than 50 times about how much fun he was having with "my friend, Netanyahu." The two leaders laughed, hugged, shared a helicopter tour of Israel, appreciated some art and history, and then hugged again. UNESCO has designated the West Bank city of Hebron as an endangered Palestinian heritage site, drawing the ire of Israel, which branded the move "shameful". Israel, which maintains a military control of the city, said the wording did not give enough prominence to Jewish history in Hebron. Hebron is the only city in the West Bank to have Israeli settlements at its heart, where a few hundred settlers live surrounded by hundreds of thousands of Palestinians. It is home to the Ibrahimi Mosque, believed to be burial place of Abraham and referred to by Jews as the Tomb of the Patriarchs. A Republican congressman is in hot water with the Auschwitz-Birkenau Memorial and Museum for filming a video inside a former gas chamber at the Nazi death camp. 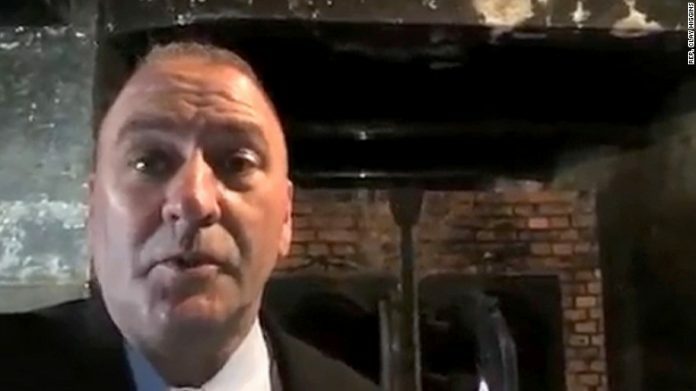 GOP Rep. Clay Higgins of Louisiana can be seen in a video posted to YouTube narrating a five-minute clip shot at Auschwitz, where he comments on the Holocaust before switching to U.S. politics. After explaining in detail how thousands of people were incinerated in gas chambers, Higgins says to the camera, "This is why Homeland Security must be squared away, why our military must be invincible." The Auschwitz Memorial took issue with the video, saying that he former gas chamber "is not a stage"-it's a place for "mournful silence." 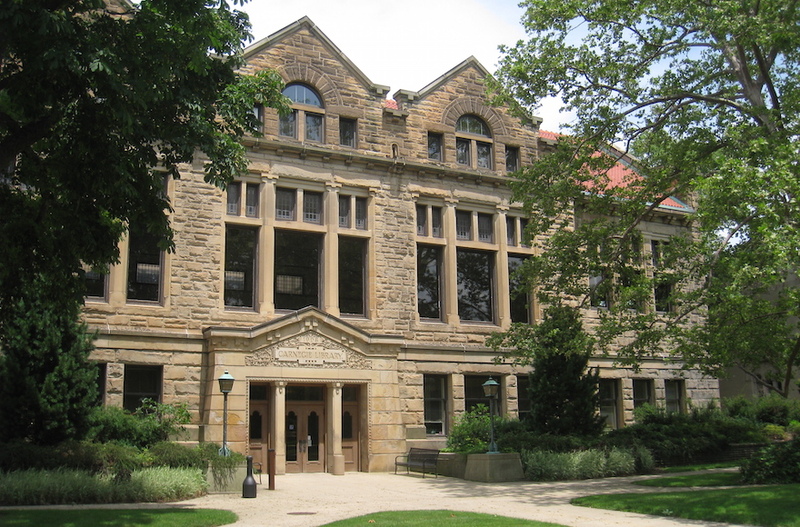 The Ohio House of Representatives initiated a resolution to condemn the boycott, divestment and sanctions movement and rising anti-Semitism and expects a vote on the measure in late August or early September. The resolution calls for increased industry ties between Ohio and Israel and denounces anti-Semitism and BDS. Trumpcare would strip all Medicaid funding from Planned Parenthood for one year and $22 billion from the clinic's budget over the course of a decade, making access to care all but impossible for many women and gender nonconforming individuals. 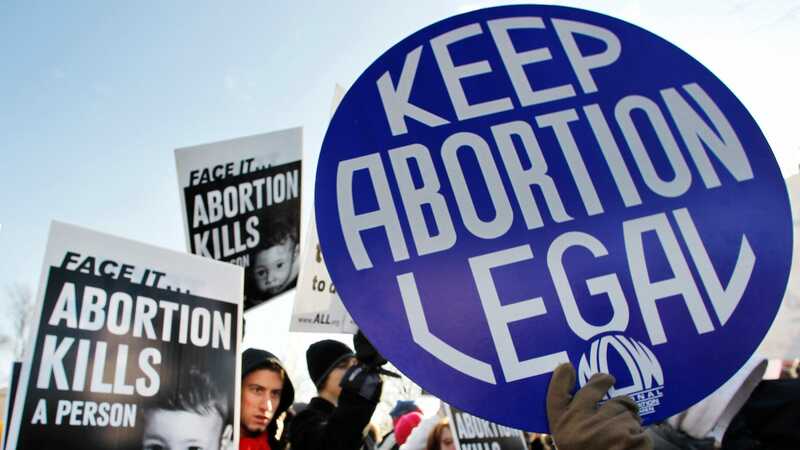 But some blue states are leading the charge to protect reproductive rights. The Oregon State Legislature just passed the Reproductive Health Equity Act (RHEA), which guarantees access to reproductive healthcare for all women and gender nonconforming individuals in the state of Oregon. It is the second state, after California, to do so. Heather Busby, the executive director of NARAL Pro-Choice Texas, was attending March's South by Southwest conference when she spotted something creepy: a group of silent women clad in red, hooded robes and white bonnets. The women were to reenact the world of Margaret Atwood's feminist dystopian novel The Handmaid's Tale. Busby floated an idea on Facebook - what if those handmaids descended on the Texas capital? They turned the imagery of Hulu's marketing stunt into a Handmaid's Tale-inspired protest against lawmakers restricting women's rights. 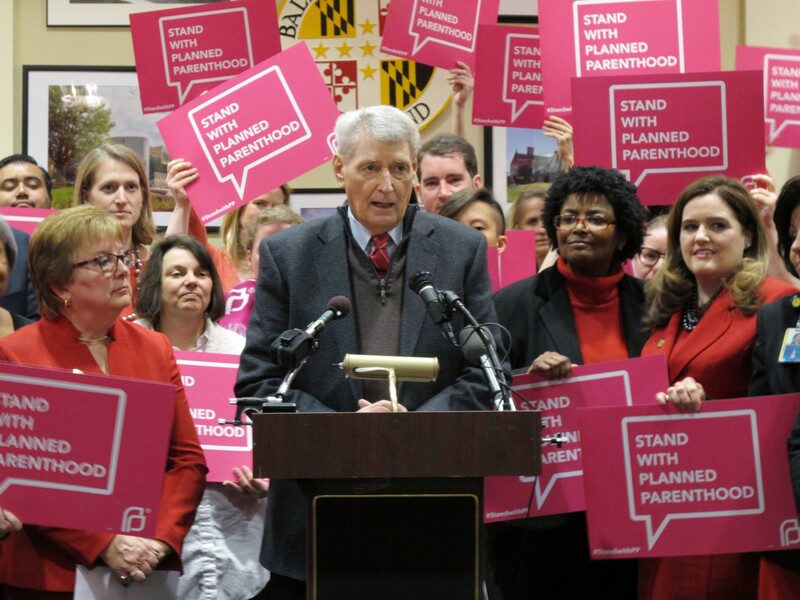 Maryland on Saturday will become the first state in the nation with a law to protect funding for Planned Parenthood from a possible federal cutoff. The bill's state Senate sponsor said "the actions of the Republican radicals in the U.S. Congress who are out to stamp out choice in any manner possible." 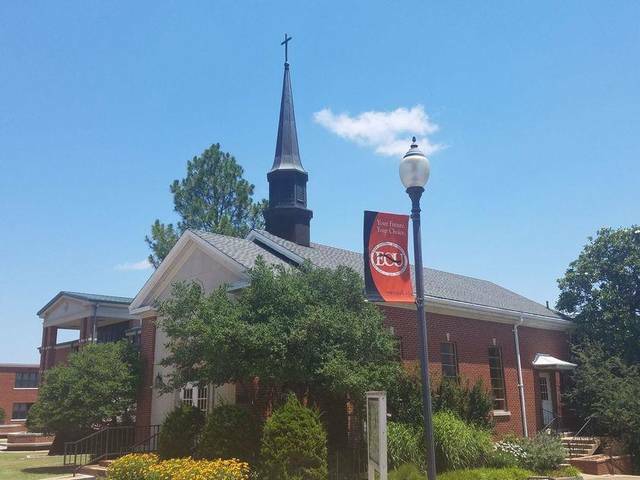 For 60 years, East Central University in Ada, OK has been home to a chapel, adorned with crosses and religious objects. The chapel has been used by clubs on campus including religious groups. The chapel is being pressured by Americans United for Separation of Church and State who says the chapel is in violation of the Establishment Clause of the First Amendment of the U.S. Constitution by displaying religious iconography on government property. 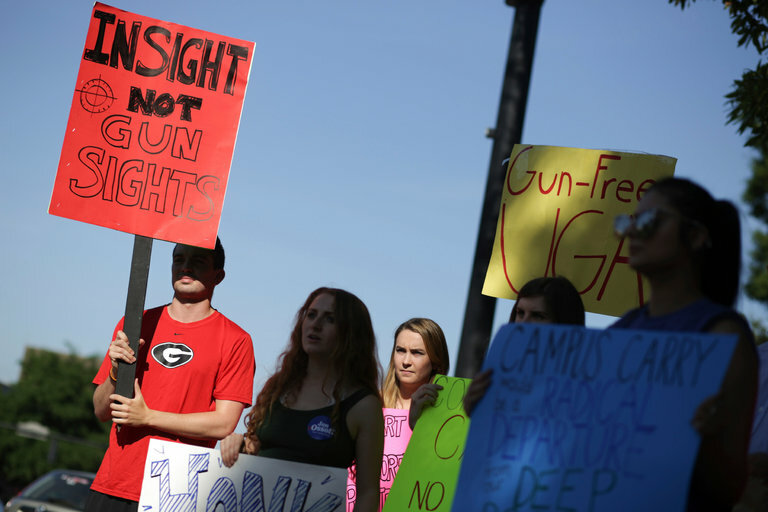 The legislation would remove penalties for concealed-carry permit holders who knowingly or unknowingly carry a firearm into "gun-free zones," if they comply with a request to leave. 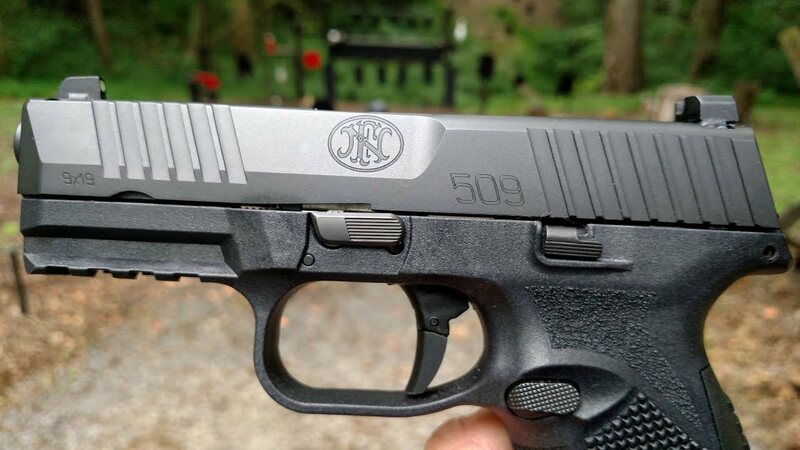 Under current OH law, carrying a concealed gun into a prohibited area is a felony. 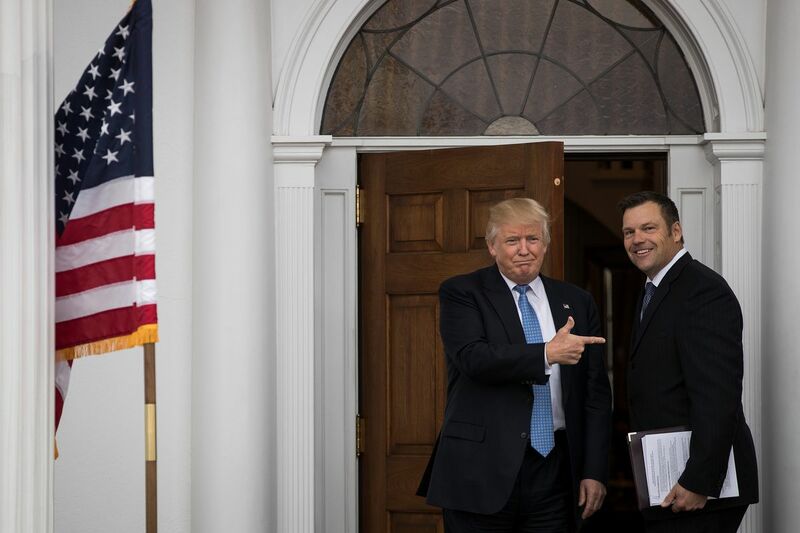 At least 44 states have rejected a sweeping information request from President Donald Trump's "election integrity" commission - including the office of Kansas Secretary of State Kris Kobach, who's one of the two men heading the commission and who sent out the request. CNN found that the great majority of states won't comply with the full request, including Kobach's own Kansas and other GOP-controlled states. In short, most of the states said the request went too far by asking for confidential voter data that shouldn't be made public. Those that have negotiated with Vladimir Putin say that Trump must be ready for a shrewd, well-prepared and implacable adversary. Putin - who reclaimed the presidency in 2012 - has outlasted three U.S. presidents, shifting his persona but never his demands. The three past U.S. presidents failed to forge a personal bond with Putin as bilateral relations tumbled into an ever-worsening state of affairs. The era of Donald Trump has brought with it what one might view as either a golden moment or a dark age for fact-checking. Yet it doesn't seem to make a great deal of difference. Trump's approval rating is in the basement, but it's his inability to get anything done and his legal troubles that seem to be hurting him more. Present his supporters with a falsehood from their man and they'll acknowledge he was wrong. But that doesn't have much effect on their support for Trump. It is an odd new celebrity for a 78-year-old Washington fixture Rep. Maxine Waters. She has logged more than 25 years in the House, representing Los Angeles and surrounding areas. But in President Trump, her sharp tongue has found its perfect target, and Auntie Maxine has gone viral. "Trump was just so outrageous, so disrespectful, such a bully and dangerous for this country, I decided, 'You know what? I'm taking the gloves off and I'm going to step out." "(In the) great partnership between the American crew, the commanders, the pilots, the crew members and their Israeli counterparts, you can see a real friendship, a real personal friendship that is born of ...common ideals." Israeli Prime Minister Benjamin Netanyahu welcoming the USS George H. W. Bush to Israel this week.